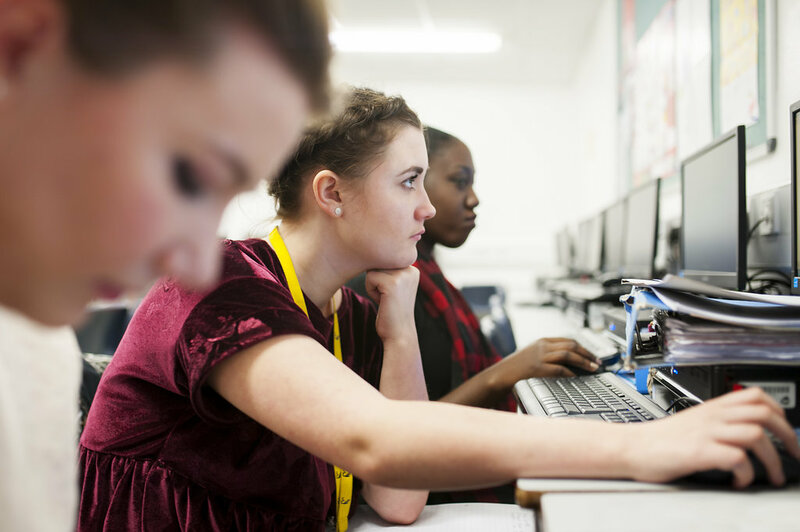 The progress our students make from their starting point in both A level and Btec is above the national average. The Jo Richardson sixth form is proud of all its students and their progress during the time with us. 1 in 5 of our grades were A* or A. This means students have a wide range of options for the future. 82% of results were C or better. 94% of Btec students achieved Distinction* or Distinction grades for their extended diplomas. Every student gained DMM or better. Many students have gained the very highest grades of A*, Distinction* and A. Moyin Adetoye achieved grades AAA and has been accepted at the University of Leicester to study medicine. Aniza Siddaqua also achieved grades AAA and is looking forward to completing an English literature degree at the University of Warwick and Abigail Hall has been accepted by the University of Birmingham to study history with her grades A*AB. All our Btec business students achieved distinctions with Charlie Cameron, Eneida Mazreku and Gabriele Sartauskaite achieving Di*Di*Di. Our Health and Social Care students were also very successful and students from that course are going on to study nursing, education and psychology. BTEC students are going to university. For example, Tahiya Ullah is going to study Nursing at King’s College, London; Safia Essa is going to Middlesex university to study marketing. Humanities students have also progressed to university. Kelechi Ogbonna is going to the University of Surrey to study history. Other students are going on to law, criminology, sociology and a range of subjects. Science students are going on to psychology, biomedical sciences, computing and speech and language therapy. Other students have gained apprenticeships at KPMG, and within the finance and retail sectors. It is very exciting that our students go on to study or work in such a variety of arenas.